I love zucchini noodles! I think they’re super refreshing and great for “pasta dishes” and salads. Since July 4th is around the corner, I wanted to create a super easy and delicious recipe highlighting Summer’s produce. Did you know that raw corn is actually super good? I never knew that you could actually eat it, but now I am obsessed! 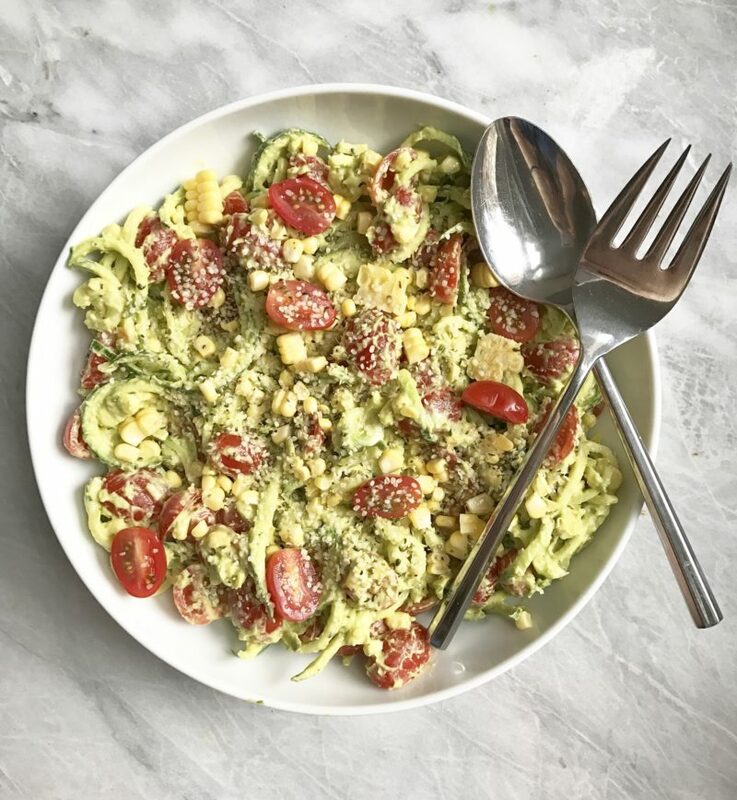 With corn being in season, I thought it would be a great addition to this salad! As Vegans we take this “grilling” season very differently. We throw on our veggie dogs, veggie burgers, and just enjoy the cruelty free side of summer. This is the perfect side dish to accompany your BBQs, and also great to eat as a main meal! 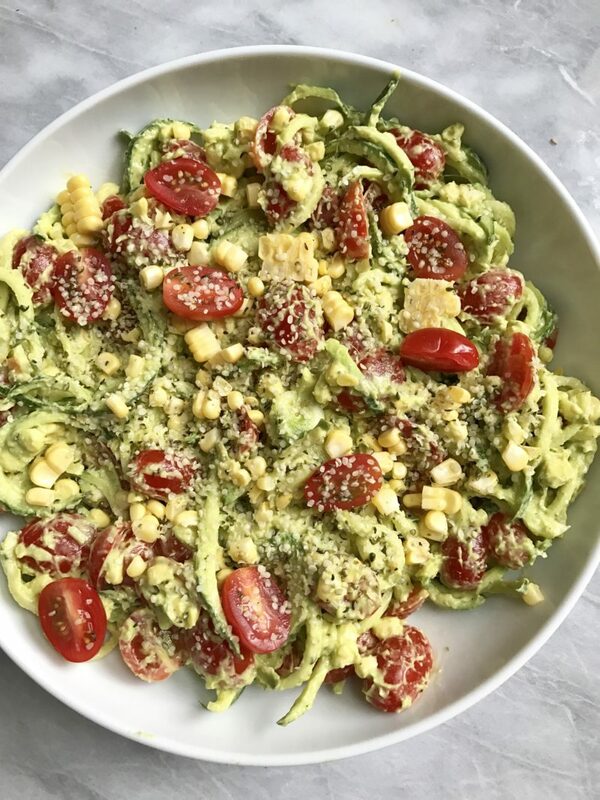 I love the addition of hemp seeds in this recipe, as it adds some extra healthy fat as well as protein. 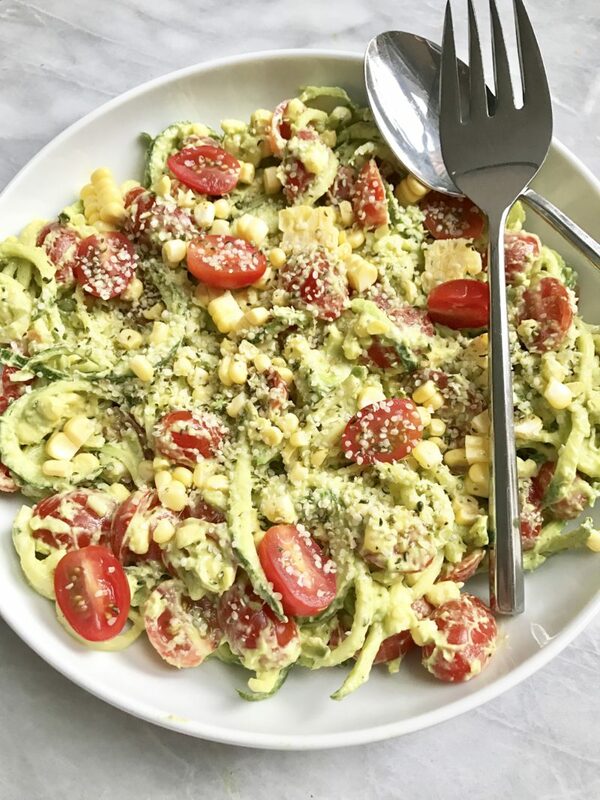 The sauce is this delicious and creamy, made with a base of avocado’s and other simple ingredients. If you make any of my recipes, tag me on Instagram @plantbasedjane so I can see! 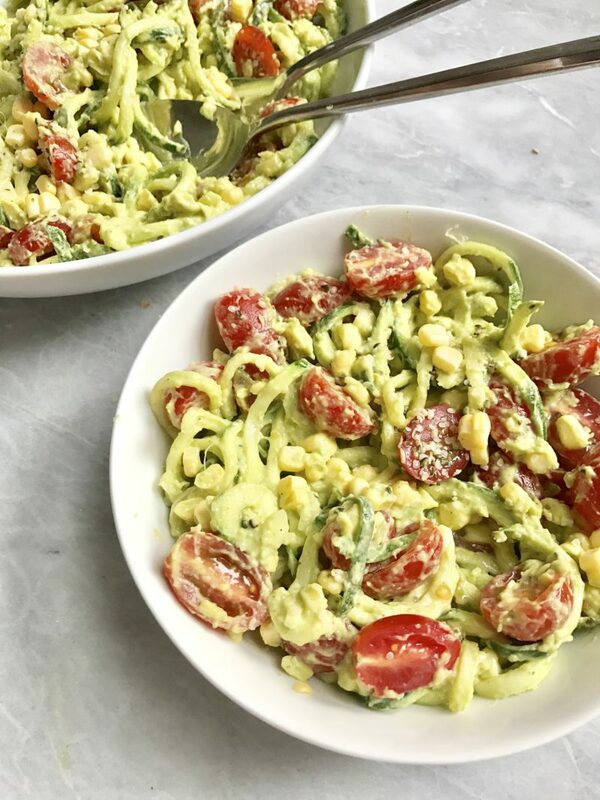 Begin by spiralizing your zucchini, Shuck and cut off your corn kernels, and halve your cherry tomatoes. Add everything to a bowl. In a high speed processor or blender, add all your sauce ingredients. Blend until combined and pour over zucchini noodles. Mix to combine and serve. Garnish with additional hemp seeds. I just got four beautiful organic zucchinis and I will try this tonight! Thanks, Jane!!! !